How to Get "Instant" Hot Water! Using a hot water recirculation pump for demand delivery, hot water is delivered to your faucet without having to wait for the water to run hot while saving water and energy. Let's take a look at why you usually have to wait for hot water with a tank type water heater how the hot water recirculation system is your "fast hot water" answer. With a tank-type water heater, hot water is sent out from the heater to your faucet or appliance. As the hot water sets in the pipe waiting to be used, it cools off. When you turn on the hot water faucet, all the cooled off water has to be displaced with fresh hot water from the water heater. This can be a lot of water volume in the pipes to replace, especially if the faucet is far from the water heater. The fresh hot water also has to warm up the hot water pipes before you get the full temperature of hot water you want at the faucet or appliance. This can take several minutes, wasting water, energy and time. The recirculation or booster pump is a device that quickly draws hot water from your tank type water heater and replaces the cooled off hot water in your hot water pipes with hot water by sending the cooled off "hot" water back to the water heater via the cold water line where it is heated back up. 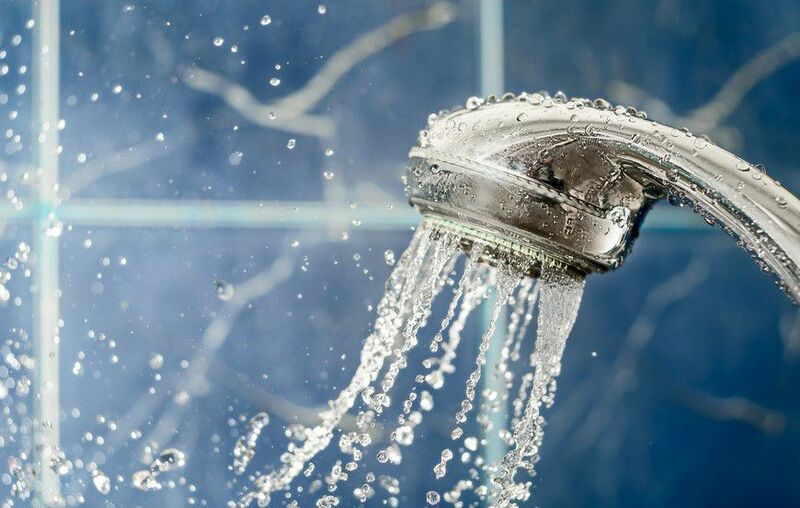 Think of it this way, when you usually let the cooled off hot water run down the drain until it gets hot again, the cooled off water in your hot water pipes has now been replaced with hot water. With the recirculation pump, the cooled off hot water is just sent back to the water heater (through the cold water line) and very quickly replaced with hot water instead of being dumped down the drain. The result is hot water with very little wait time, around 60% to 80% faster than standard water heater configurations. Hot Water Heater Recirculation Pump. Watts Premier Inc. This type of recirculation pump system consists of a 120-volt pump and timer that is mounted to the water heater hot water line, and a thermostatically controlled bypass valve mounted between the hot and cold water lines at the sink farthest away from the water heater. At pre-set times on the timer, the recirculation pump turns on and hot water is circulated within the hot water line, making it available for immediate use at the faucet or appliance. This type of recirculation pump system consists of a 120-volt pump with integrated electronic controls and a thermostatically controlled zone valve. This system is a bit more advanced than the water heater mounted system in that the electronic system may be activated by a push button, remote control or motion detector. The unit is installed at the most remote sink location. Some models have remote controls that you can use to turn on the pump when at other sink locations.